I recently painted the cupboards red and white, ready for Christmas (and because they were dark brown and dreary before that). Bit different from your average Western kitchen I guess, but also very different from the average African one too! 1 Comment posted on "Random Photo of the Week no.39"
Nice and cheery! I approve. 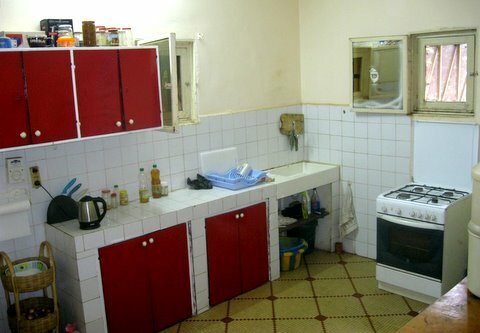 Good-size kitchen, too.